Step #4: Promote, Optimize and Advertise! 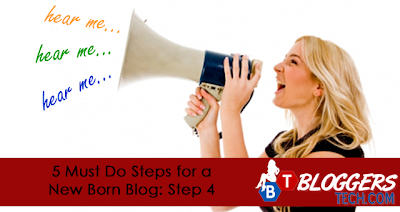 You don’t need to be an expert in promoting your blog to the people. You don’t have to be really really good at marketing in order to grab their attention and make them go and visit your blog. With your blog posts title that is an attention grabber and a great content, you could surely win this! So where to promote and how you can promote and advertise your blog? Simple, some of you may be a Facebook addict, and I know most of you are bloggers so I think you already know this. But never ever (again) take this part for granted. You can promote and advertise your blog on social medias like Facebook and Twitter, also with the latest hit social media called Pinterest. How does that make promoting? Well simple, if you’re going to share your blog posts on Facebook even if it will appear just on your friends, with great content and usually a must share info will go viral. So your friend can share it to their friends too, and their friends could share it with their friends and so and so forth. Though in your view it is a limited audience, it could totally go beyond the box! By simply tweeting the link of your blog posts, you are already promoting and advertising your blog to the people of the world. It could go beyond your followers if you add tags with it too! Using hash tags will be very useful because even if they’re not your followers people who are into this hash tags will be able to read it. That means you’re already promoting, sharing, and increasing your chance in gaining traffic to your blog through using the social media. Another thing is that, you could also optimize your blog, and yes I’m talking about SEO. Though you’re not an experienced and an expert, you can learn all the basics of SEO here in Bloggers Tech, that is also for free and by just reading the blog. Though I’ve got just few posts about it, surely there will be more to come about this topic. Anyway, as what I have said, you don’t have to all the knowledge and experienced in making your blog rank on the top search engines like Google. By just doing the basics like social media sharing, tweeting and bookmarking your posts on different websites, you are already trying to optimize your website. What matter most is that you must have the content, the content that is a must read and that would meet what people need and want.